In his speech, Springsteen called the actions taken against families at the border “shockingly and disgracefully inhumane,” and called out senior government officials who use decontextualized Bible passages to defend their actions. “May God save our souls,” Springsteen said, in a statement worthy of the high drama setting of a Broadway stage. Springsteen’s Broadway setlist contains 15 songs from his most popular records, as well as some of the more underplayed ones (plug: Nebraska is sparse and spooky and deserves your love, too). However, “The Ghost of Tom Joad,” from Springsteen’s 1995 acoustic album of the same name, was a new addition to the show. 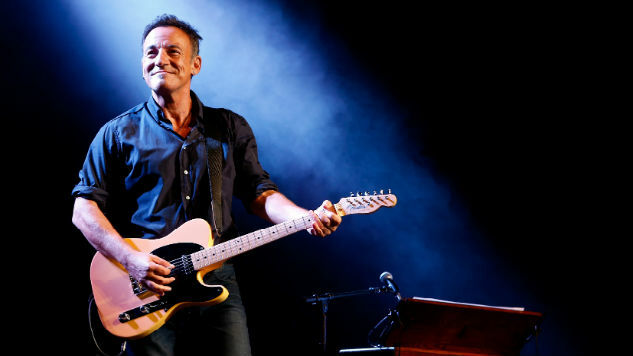 Springsteen on Broadway has continued to sell out the Walter Kerr Theatre since premiering last October, and as a result Springsteen’s residency has been extended through this December. The rocker recently performed at the 2018 Tony Awards, where he was awarded a special Tony honoring his solo show and legendary career. Watch Springsteen’s Tony performance of “My Hometown” from Born in the U.S.A. here. As of today, Trump has signed an executive order ending the border policy his administration created, after causing outrage among Republicans and Democrats alike. Listen to “The Ghost of Tom Joad” below, see a 1978 Springsteen set from the Paste archives further down and read Springsteen’s speech in its entirety here.